B&H Photo Video has a hot sales on Sigma Art lenses during this WPPI Show Special. You can save up to $200 off on Sigma Art lenses, some lenses need use promo code “BHWPPI18” in cart to get $50 discount. Refurbished Deals – D810 for $1,899, AF-S NIKKOR 14-24mm f/2.8G for $1,489 ! Adorama Camera currently has several hot refurbished deals: refurbished Nikon D810 body for $1,899, and refurbished AF-S NIKKOR 14-24mm f/2.8G ED lens for $1,489. Coming with 90-Day warranty from Nikon USA. Save Up to 12% Off on Keh Valentine’s Day Sale ! Keh Camera currently has their Valentine’s Day Sale on all used cameras, lenses, accessories. You can save 12% on $800+ items, save 10% on $500+ items, and save 8% on $100+ items. Free 2-day shipping! The sale ends on Monday evening. You need to apply coupon code “BMSM02A” at checkout to activate this deal. 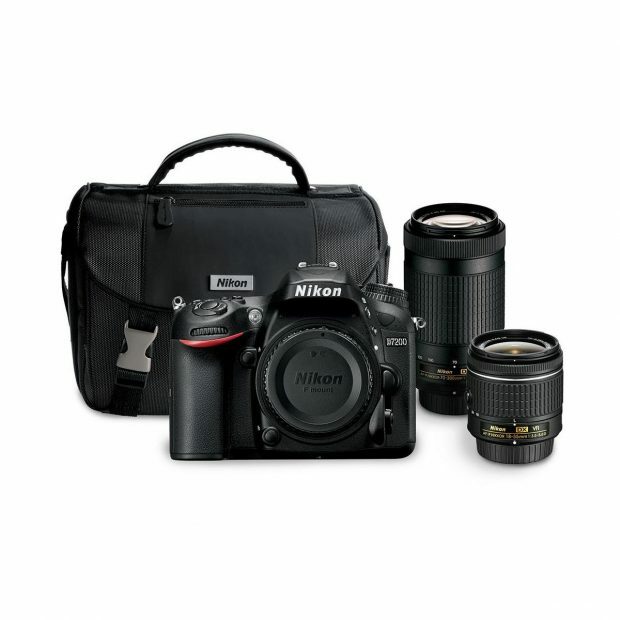 Hot Deal – Nikon D7200 w/ 18-55mm & 70-300mm Lens Bundle for $1,197 ! Nikon USA currently lower the price for Nikon D7200 with 2 lens bundle for only $1,196.95 at B&H Photo Video/Amazon/Adorama. Currently one of the best deals for Nikon D7200. Hot Deal – Refurbished AF-S NIKKOR 24-120mm f/4G ED VR Lens for $539 at Adorama ! Nikon USA authorized dealer Adorama Camera has a hot refurbished deal on Nikon AF-S NIKKOR 24-120mm f/4G ED VR lens for $539.95. Compared new for $1,096.95. Hot Deal Back – Sigma 150-600mm f/5-6.3 DG OS HSM Contemporary Lens + USB Dock for $789 at Adorama ! Adorama Camera has the hot deal on Sigma 150-600mm f/5-6.3 DG OS HSM Contemporary Lens for Nikon F-mount DSLR cameras back. The deal price is $789.00, also includes free Sigma USB Docklowest price online ever from Authorized dealers.